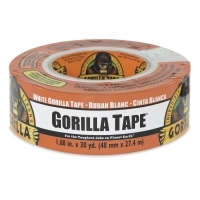 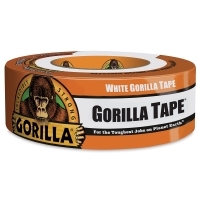 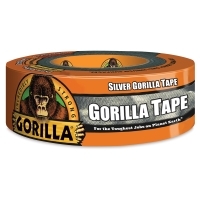 Made with double-thick adhesive to stick to rough, uneven, unforgiving surfaces such as wood, stone, stucco, plaster, brick, and more, Gorilla Tape is the toughest tape available. 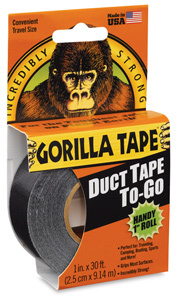 This heavy-duty duct tape features an all-weather shell that helps create a barrier to withstand harsh elements. 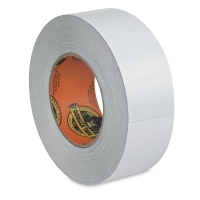 The strong reinforced backing has a tight weave that contributes to the tape's heft, yet it can still be ripped by hand easily.